The Department of Surgery at the University of Wisconsin offers one of the leading surgical programs in the nation, excelling in patient care, surgical education, and surgical research. We are comprised of more than 130 full-time faculty and 500 additional full-time staff who support our mission. Our surgeons perform almost 22,000 operations per year for pediatric and adult patients in the specialties of acute care and regional general surgery, cardiothoracic surgery, colorectal surgery, endocrine surgery, minimally invasive surgery, otolaryngology-head and neck surgery, pediatric surgery, plastic surgery, surgical oncology, transplant surgery, and vascular surgery. Training the next generation of surgeons and clinician-scientists is integral in our department, with more than 100 residents and fellows being trained each year in four residencies and ten different surgical specialty training programs. Our clinical, basic and translational research programs allow us to offer experimental treatment options while we continue to seek novel approaches to prevent and treat numerous surgical diseases. More than $12 million in federal research funding supports our research programs. We invite you to browse our website for additional details about clinical expertise, research programs and training opportunities. 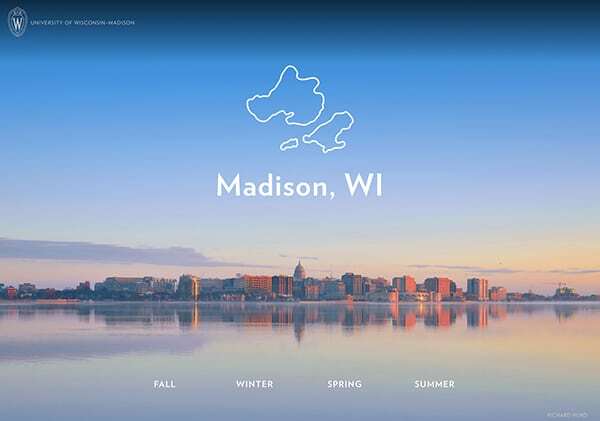 The changing seasons in many ways define life in Wisconsin, and in Madison we find creative ways to get the most out of each one.